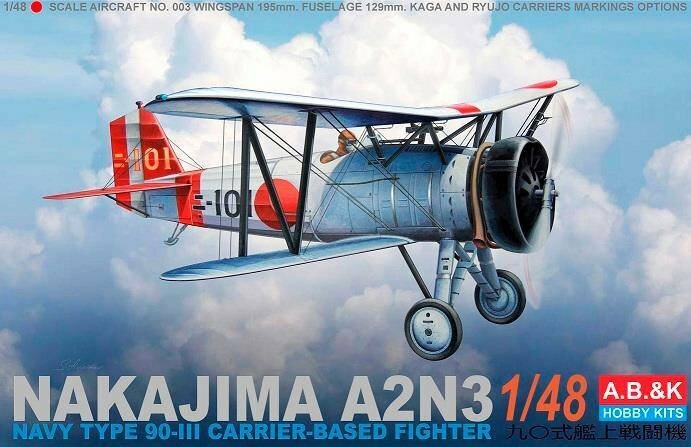 Ah, Fine Molds Limited Edition 1/72 Ki-43-I Hayabusa! 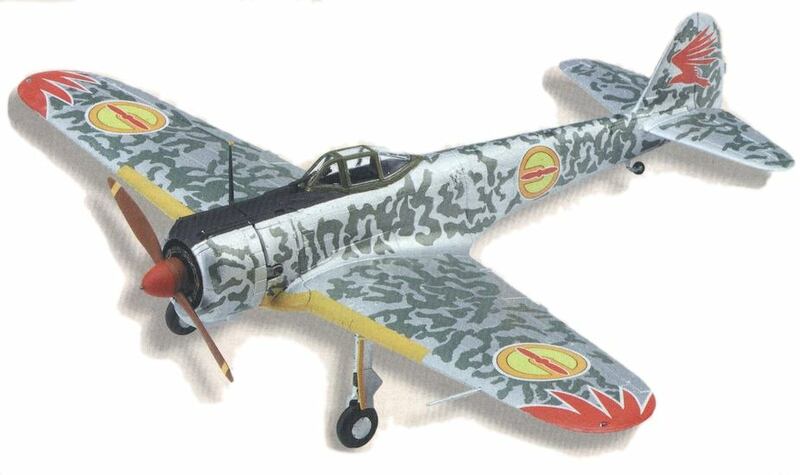 Slipping in under the radar for many is this magazine limited edition 1/72 injection moulded plastic kit of the Nakajima Ki-43-I Hayabusa by Fine Molds which comes, at a price, with the March 2019 issue of the Japanese Model Graphix magazine (# 412 03/2019). 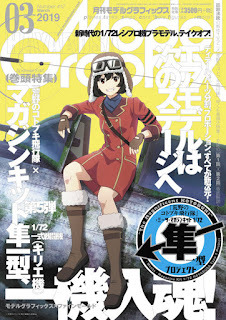 The kit is presented as a girl-flown 'Kotobuki' squadron Hayabusa tie-in to an 'anime' (animēshon アニメーション- animation film) TV series so the decal sheet has the markings for an aircraft flown by one 'Kilie' (as seen in the heading image) and does not include any historic IJAAF unit markings or even Hinomaru, of which more anon. 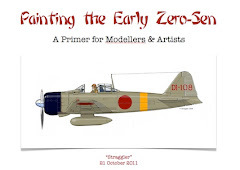 The kit itself is an intriguing mixture of simplification and sophistication. 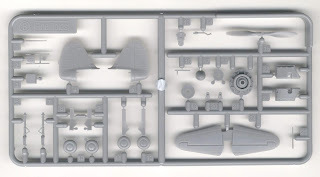 The break down of parts is very unusual and innovative with the whole fuselage centre section (complete with rollover pylon/headrest) and rear fuselage (complete with tail wheel) as single pieces joining together very neatly on a panel line. 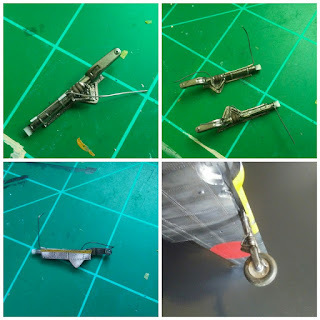 The centre section might need a sprue spacer as shown in the magazine to broaden its lower edges to fit the wing snugly and prevent the thin plastic from pinching in. 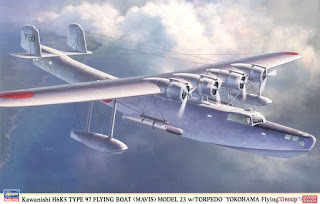 The fairings over the guns have an odd 'tail' at the rear which does not appear in photographs of the real thing and they are not as prominent or as angular as in the Fujimi kit. 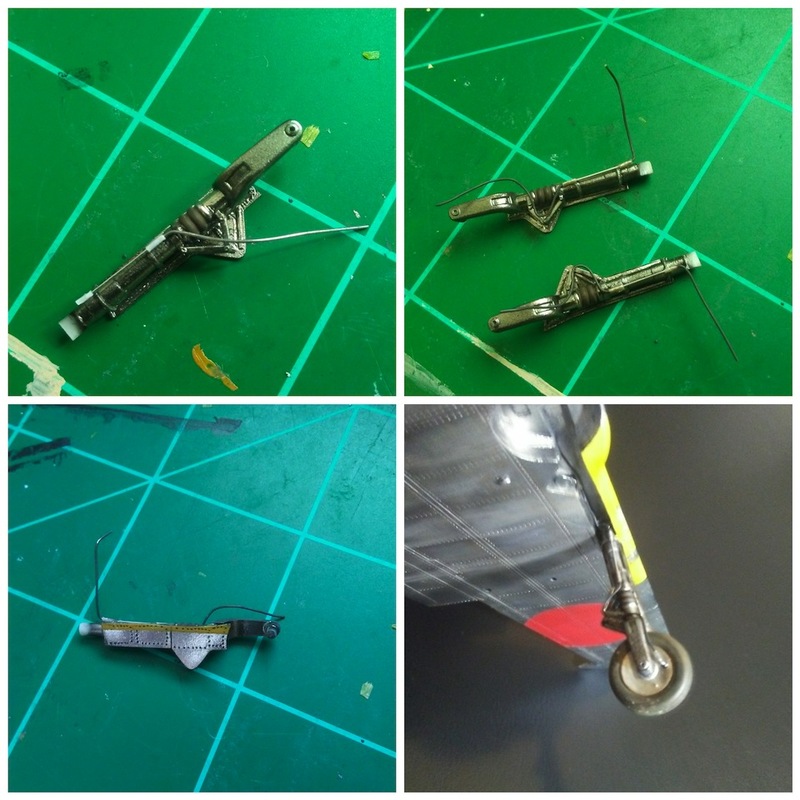 So far neither of the 1/72 kits seem to have captured the form of the fairings quite correctly. 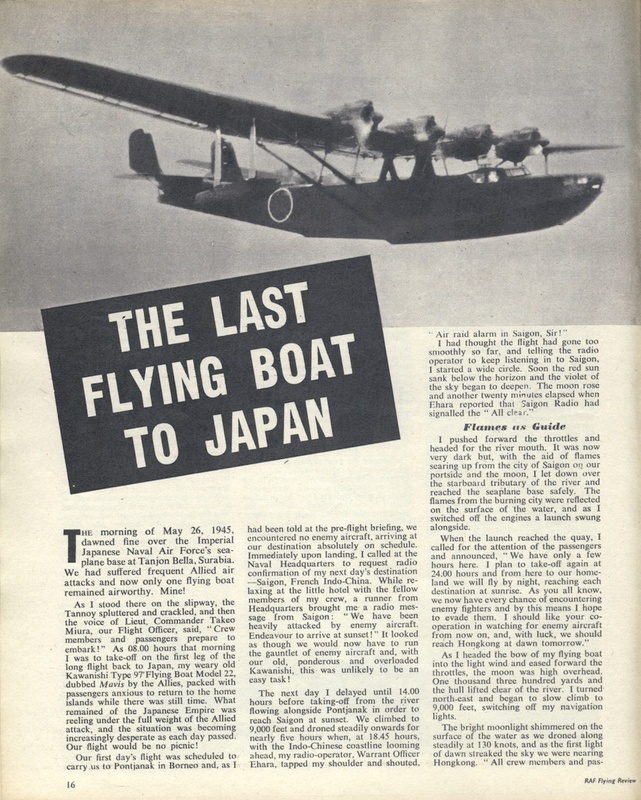 The tailplanes are also moulded as a single piece which neatly slots into the rear fuselage whilst the separate fin and rudder are in two halves which lock in above and behind the tailplane assembly. 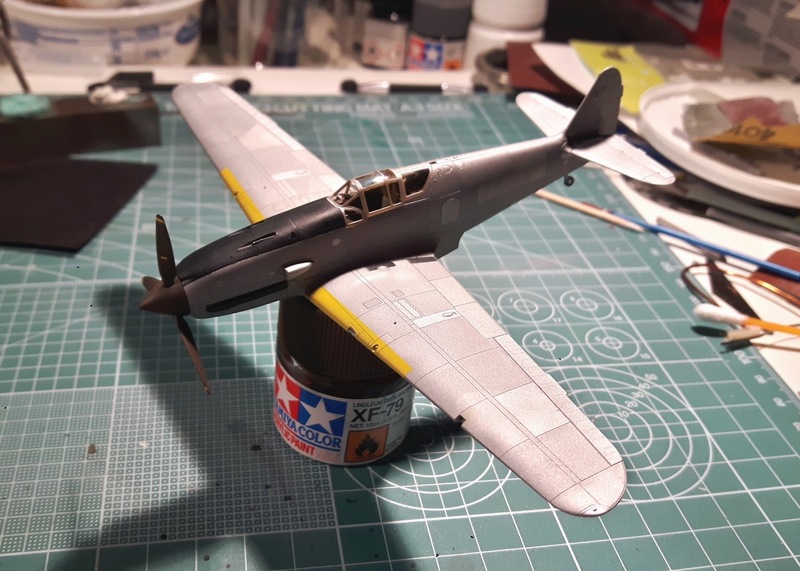 The windscreen and canopy frames are moulded separately from the clear parts resulting in a slightly over scale and heavy appearance. The canopy can be displayed open but this will have to be decided on before assembly as a choice of two marked holes must be drilled out from inside the centre section. Simplification comes with the engine and annular oil cooler moulded in relief as a single part and the under cowling intake moulded integrally with the cowling. 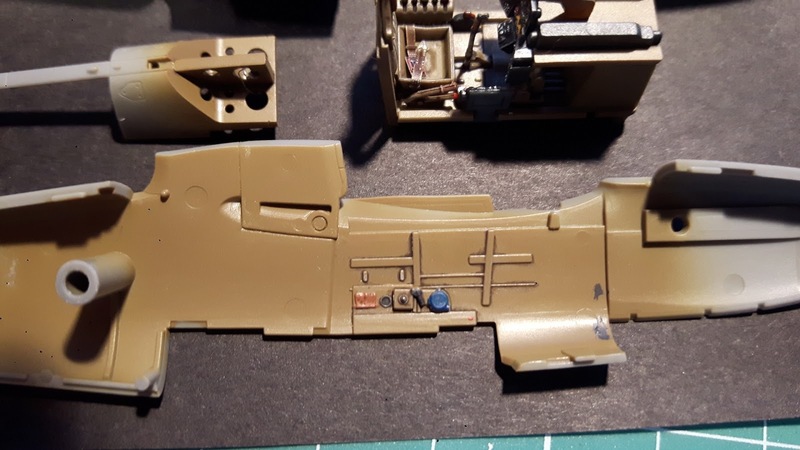 That has near parallel sides rather than the slightly bulged cowling of the Fujimi kit in the same scale, with the gun tubes finely and delicately moulded with recessed muzzles. 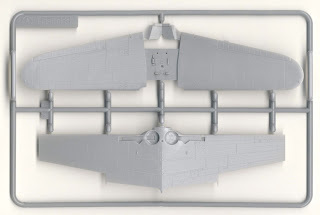 Separate cheek pieces behind the cowling suggest perhaps some potential for different variants and the separate exhausts are undoubtedly the best representations in this scale. 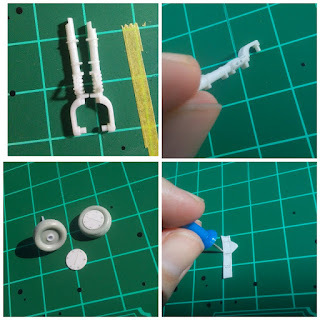 The optical gunsight is quite crude compared to other aspects of the kit, being effectively a length of fine sprue with one supporting leg. The prop and spinner are finely moulded in three parts with the prop neatly trapped between the front and rear halves of the spinner which is an improvement on the Fujimi representation. 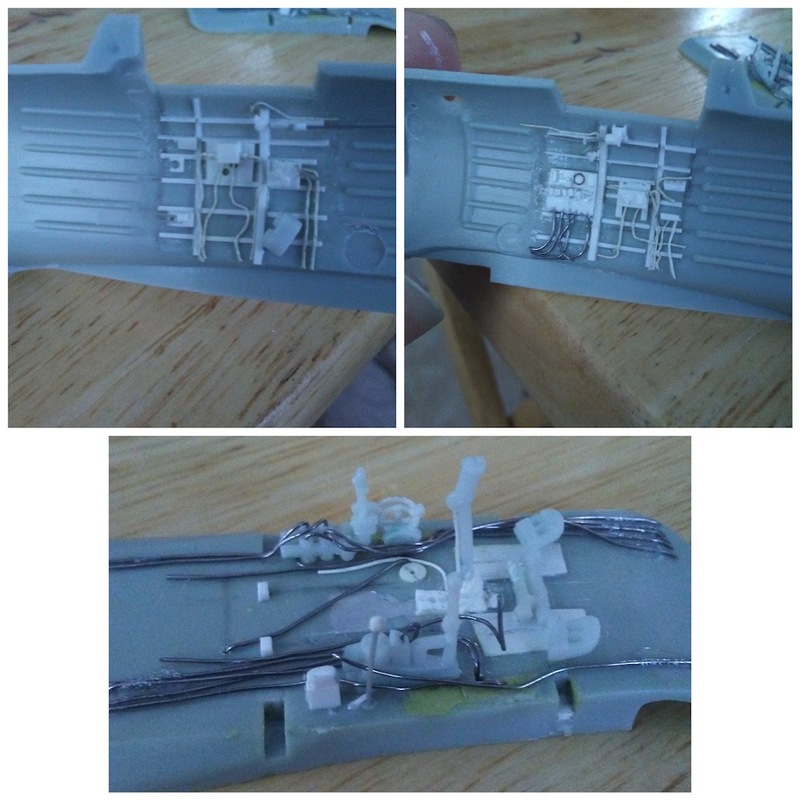 The prop assembly fits without glueing into a polythene cap trapped inside the engine moulding. 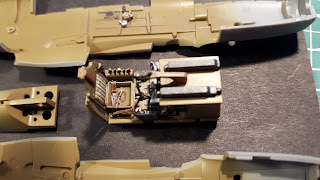 Interior detail consists of a floor moulded integrally with the upper wings - also a single part - an instrument panel for which a decal is provided, a two part seat and a control stick. The floor has some simplified moulded detail to represent side consoles and rudder pedals, but due to the way the fuselage centre section is moulded there is no sidewall detail. Frankly very little could be seen through the very small cockpit aperture so a few strips of plastic would probably suffice to represent ribs and stringers. 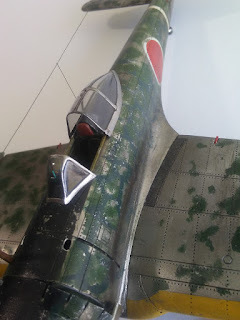 The engraved surface detail is remarkable with a complete network of recessed rivets and panel lines reminiscent of the 1/48 scale Otaki kits, but rendered much more finely (Airfix take note!). 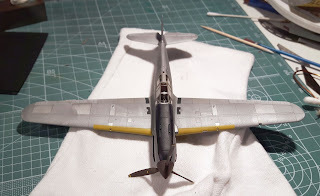 However the ailerons and elevators follow the Hasegawa practice (on some kits) of prominent raised lines to represent ribs. 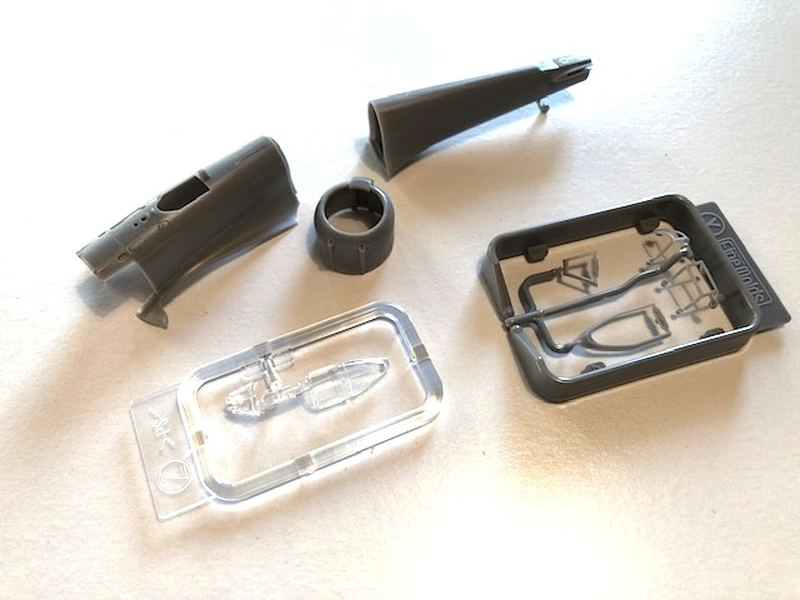 The rudder is more subtly moulded with the characteristic swell of the lower metal part accentuated slightly more than the Fujimi kit. 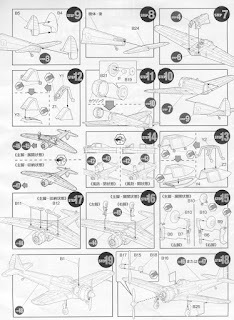 Provision is made for the model to be assembled with lowered or retracted undercarriage, facilitated by optional parts. For the lowered position the undercarriage covers are correctly moulded, with the hinged lower section flared out, whereas the Fujimi kit has a flat, plain cover. 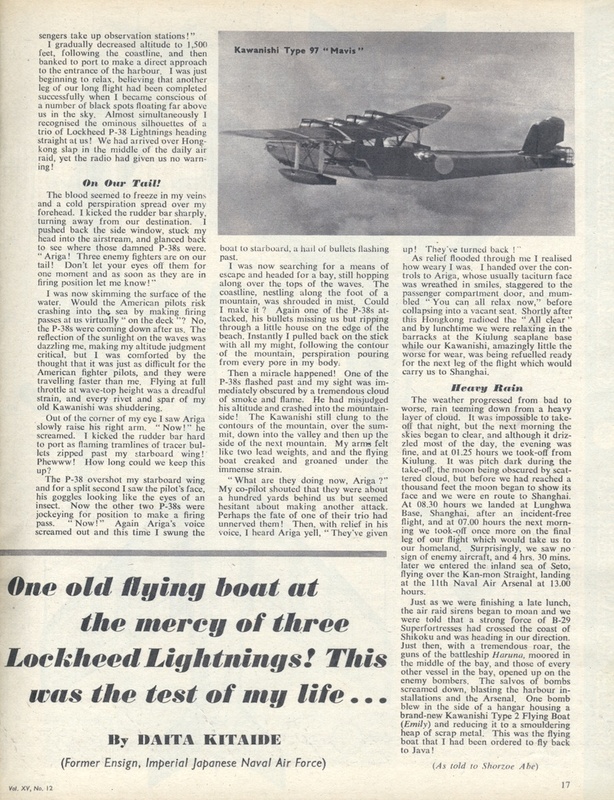 The 'butterfly' flaps are moulded integrally with the upper wing with no provision for open display and appear slightly anaemic, although dimensions have not yet been checked. In terms of shape the line of the upper fuselage breaks at the cockpit but does not seem as pronounced as with the Fujimi kit. 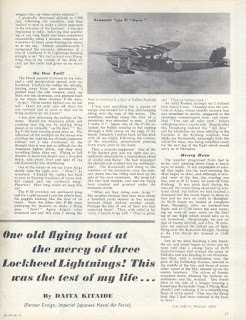 Photos of the assembled model in the magazine look ok. 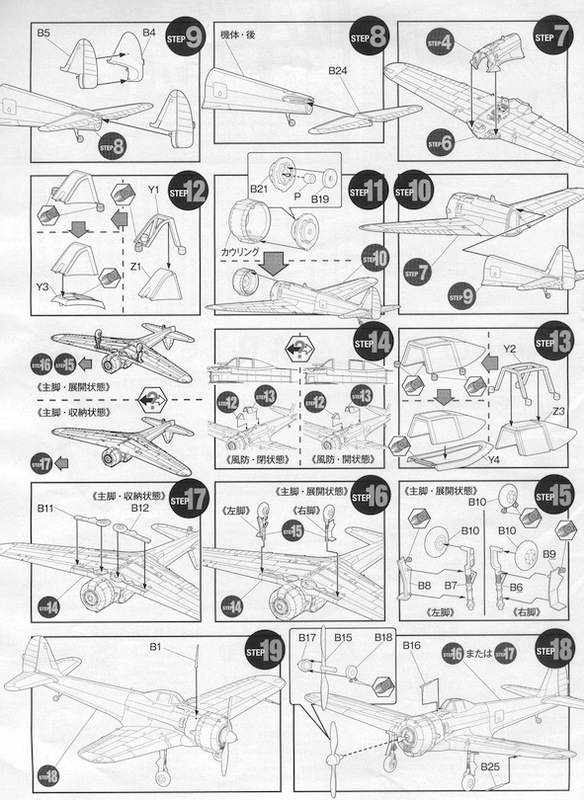 The magazine contains clear assembly instructions as shown plus a complete by stages build with colour photos, but all text is in Japanese. As a magazine issue limited edition the kit is expensive to acquire (¥3,500 about £25 or US$33 from HLJ)* and it remains to be seen whether it eventually appears as a standard Fine Molds kit, although the breakdown and engineering of parts does suggest the possibility of a future Hayabusa family. 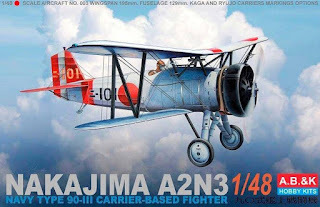 At this stage it is probably one for the determined Hayabusa enthusiast who prefers to work in this scale and is prepared to spend the money as the advantages over the cheaper Fujimi kit** seem marginal (completed models will be compared in future). From Modelkasten comes a sheet of decals for the Ki-43-I in 1/72 scale (above) which compliments the Fine Molds kit nicely, but presumably could also be used with the Fujimi kit. 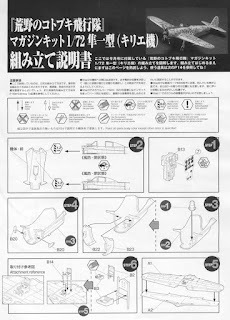 Set DC-13 includes tail insignia for all 64th Sentai Chutai and Chutaicho in their various forms together with markings for Sentai leader Kato's aircraft. Also included are 50th Sentai rudder characters for named aircraft for M/Sgt Mitsuo Honma -'Kokorozashi' (志 - intention/resolution), Sgt Isamu Sasaki -'Tobi' (鳶 - black kite), Capt Misao Miyamaru - 'Shou' (翔 - to soar/to fly), 'Ao' or 'So' (蒼 - blue) & 'Miyou' (妙 - This is difficult to translate as it has various meanings, sometimes with a religious connotation or as a part of a female first name - literally exquisite/graceful) and Sgt Satoru Anabuki - 'Fubuki' (吹雪 - snowstorm/blizzard). See also here. 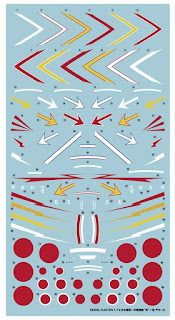 In addition there are insignia for a Chutaicho of 1st Chutai, 11th Sentai, 18th Sentai with Home Defence 'bandages', and 2nd Chutai, 24th Sentai. Finally that striking fuselage lightning bolt in red for a 1st Chutai, 59th Sentai Hayabusa. 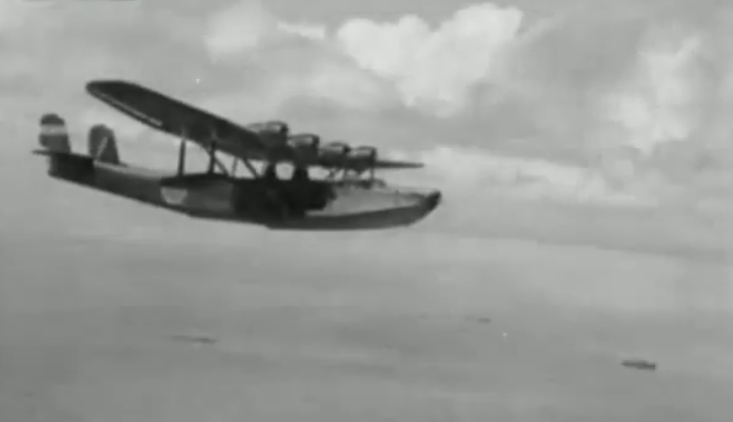 Enough Hinomaru are included for two aircraft with both plain and white bordered fuselage discs. 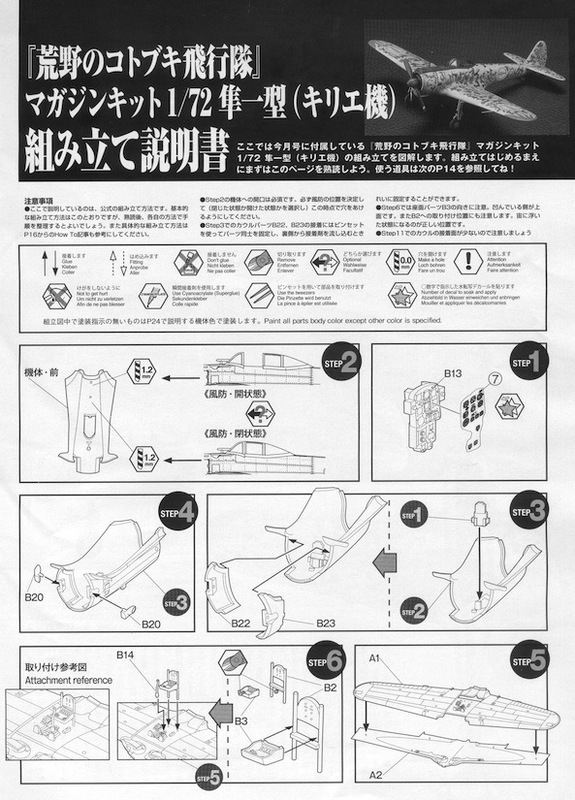 Instructions - at least in the set examined - consist of a two sided monochrome sheet with Japanese text and not all options shown. 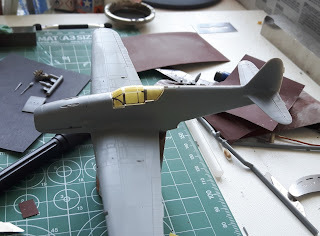 Other references will need to be consulted to use some of the decals provided. Price is ¥1,800 about £12.45 or US$16. * It is shown as Out of Stock at HLJ but a back order was fulfilled very quickly. It can also be purchased from Modelkasten and Amazon Japan. "For this build I used the Otaki 1/48 Ki-43-II as reboxed by Arii. The kit interior is completely fictitious and a lot of the other detail is simplified or non existent. 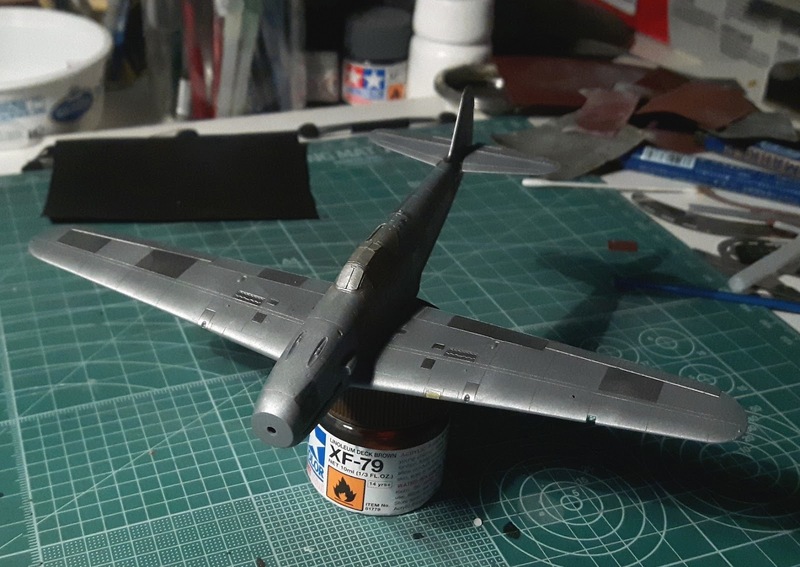 The overall shape is not too bad and I actually prefer it to the Hasegawa kit which due to its shape issues I have yet to bring myself to be able to build. 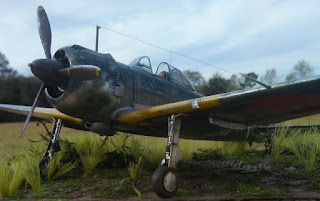 The model represents a Ki-43-II Otsu* (see note below. 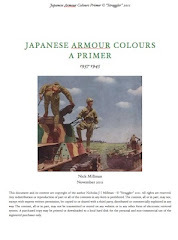 Ed) from the 2nd Chutai, 63rd Sentai in Papua New Guinea 1944. 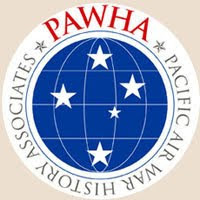 The airfield this aircraft operated from is unknown but I personally suspect Wewak aerodrome. 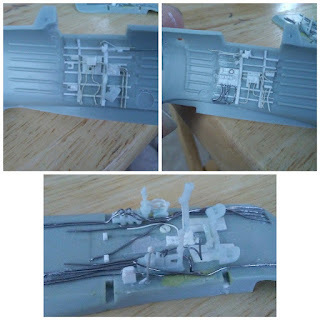 "I scratch built the new interior of the model using various plastic card and strip, copper and lead wire and soda can aluminum. 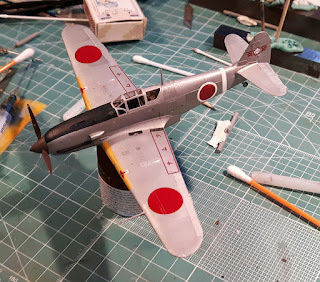 Some detail parts such as the rudder pedals, control stick, seat back and mount and hydraulic pumps on the floor were salvaged from a junked Nichimo Ki-43-I someone had given me years ago. 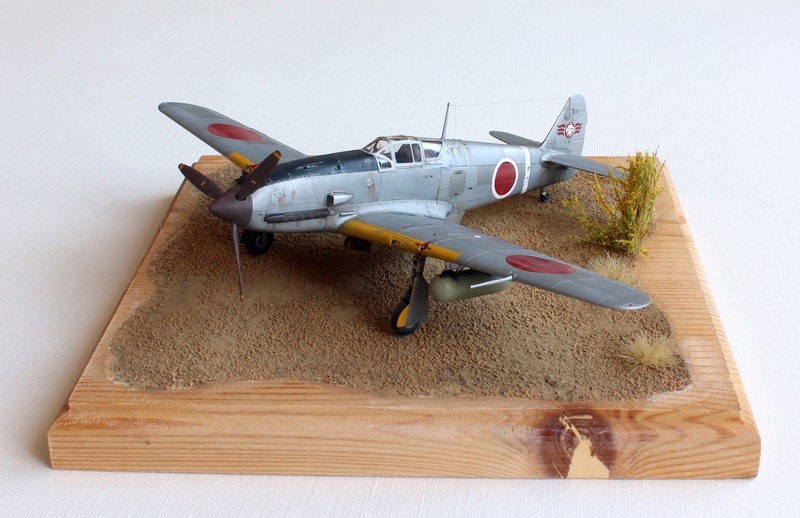 I painted it with a custom mix to represent the IJAAF colour # 29 Ki Midori Iro. 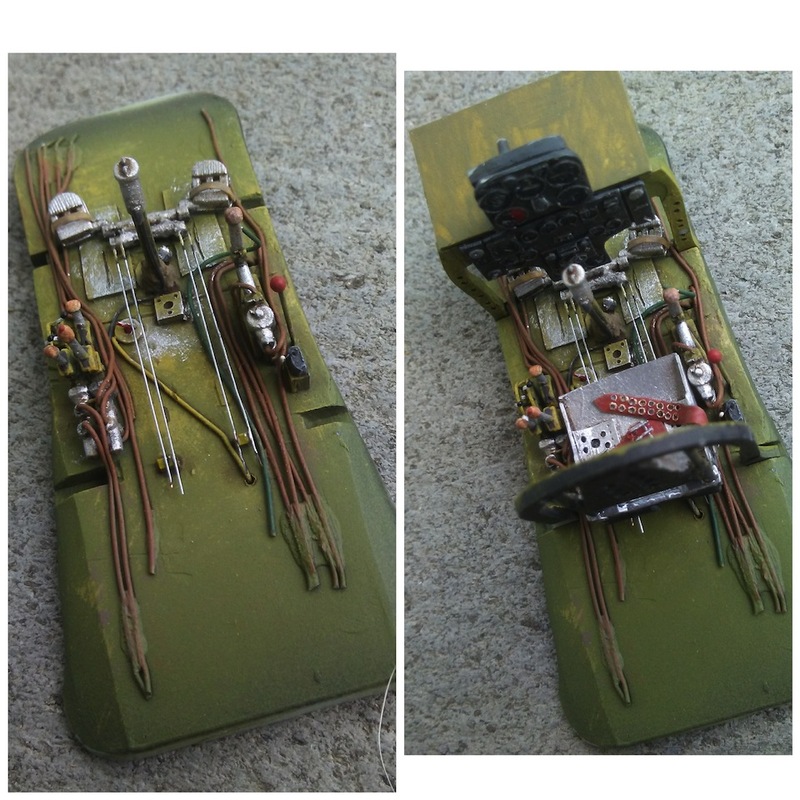 To represent it I used approximately 1:1 Model Master FS 34151 US Interior Green and Polly Scale US Interior Yellow. 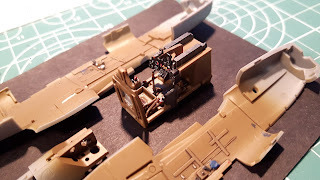 I also added a single drop of Polly Scale Italian Camo Brown to achieve a slight olive under tone. 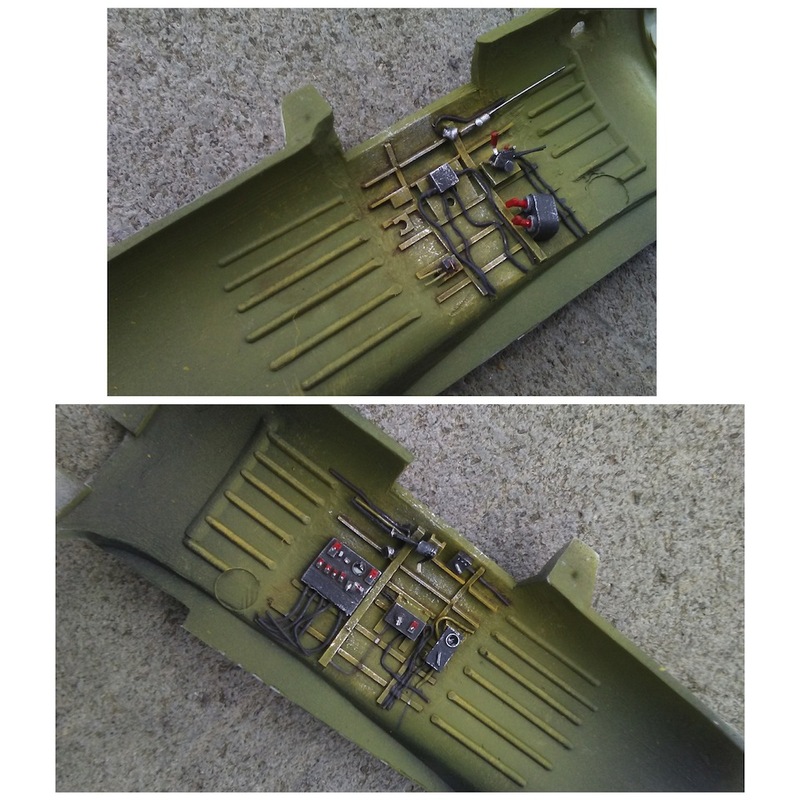 The landing gear wells were deepened and detailed with sheet styrene and faired in with Milliput. 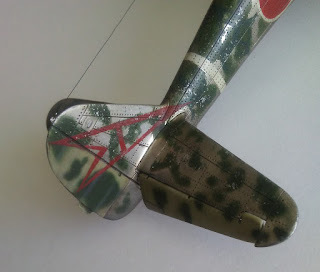 "The landing gear legs were also borrowed from the Nichimo kit as they were more detailed than the Arii ones. I shortened them by about 1mm. This achieved a more realistic stance for the model to my eye. They were further detailed using bits of styrene, with lightening holes drilled in the oleo scissors to match references. Brake lines were added using lead and aluminum wire, line couplings made from tiny cylinders fabricated from stretched cotton swab tubing. The wheels were modified by chucking them in a rotary tool and carving radial tread with an X-acto blade. The hub covers were made from circles cut from styrene sheet with details scribed onto them. 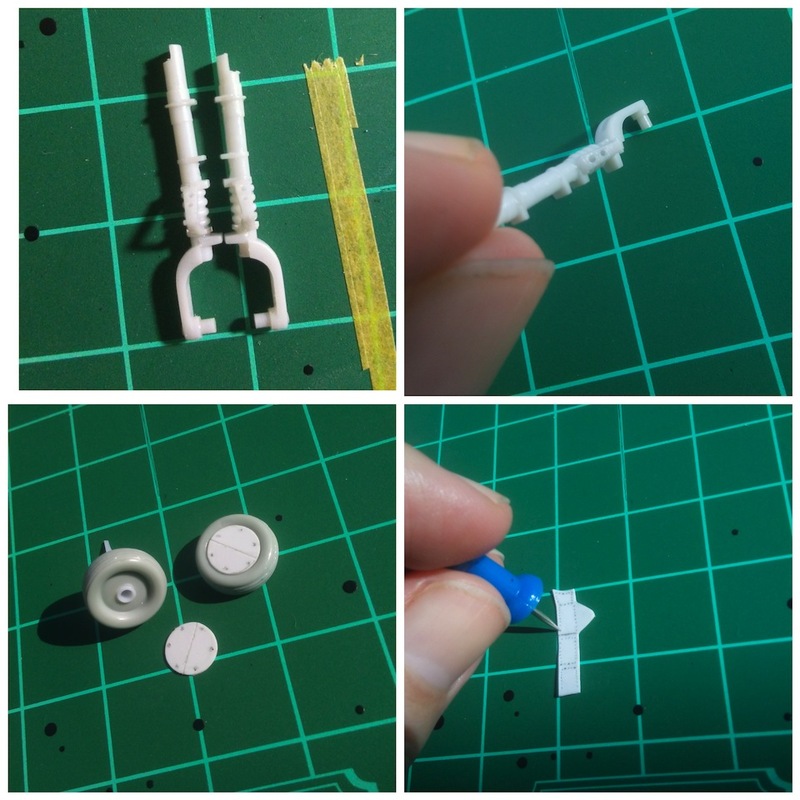 The leg covers were built from styrene sheet and strips using the Nichimo parts as a guide. Rivets were then added using a thumb tack. "The kit supplied engine was detailed by adding a wiring harness from lead wire, push rods from aluminum wire and exhaust pipes made from styrene rod feeding into an exhaust collector ring sculpted from Milliput. 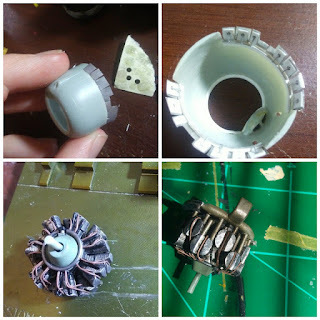 The kit exhaust stubs were drilled out and glued to the new collector ring. 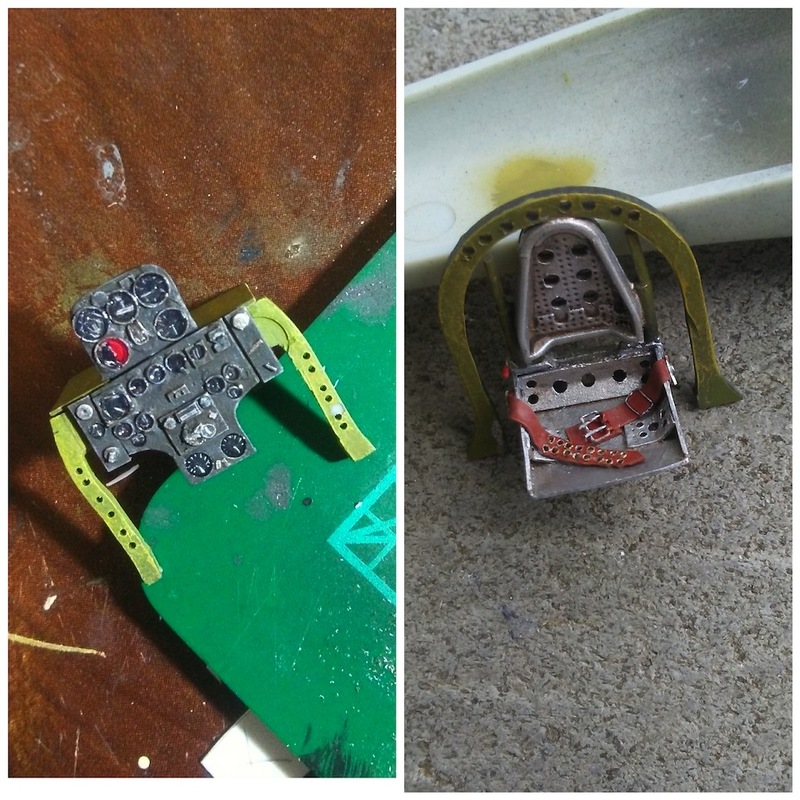 The kit cowl flaps were removed and replacement ones made from soda can aluminum and detailed with styrene sheet. Actuator rods were made from aluminum wire. 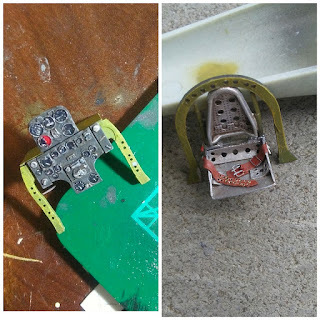 "The Type 100 reflector sight was scratch built using bits of styrene, clear acetate, aluminum sheet and copper wire. If I counted correctly it is made from 23 separate pieces. The aerial wire was made from smoke colored invisible mending thread. The attachment point on the front post was made from aluminum sheet with a hole drilled through it. 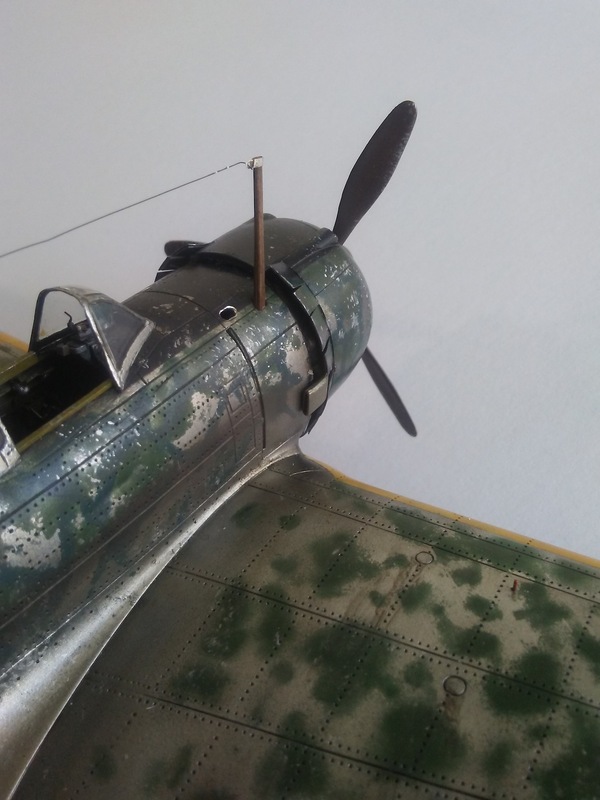 The attachment point on the tail is a tiny loop of aluminum wire. "The overall finish is Alclad II Airframe Aluminum over a base of Model Master enamel gloss black. All markings were made using hand cut masks and sprayed. The red is Model Master Acryl FS 31136. 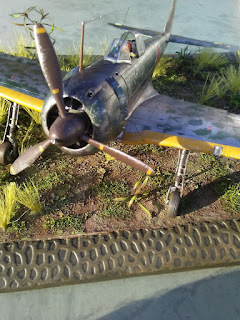 The propeller and hub were painted Model Master Acryl Panzer Schokoladen Braun. This was the closest color I had to hand to represent the brown color. 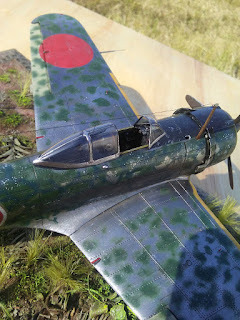 I was specifically trying to avoid the rust/brick red color that just doesn't look quite right to me but I see it all too often on many Japanese aircraft models. The anti glare paint on the nose was mixed from Model Master enamel Gunmetal (a very deep blue-black) and Testors enamel Gloss Dark Red 1104. 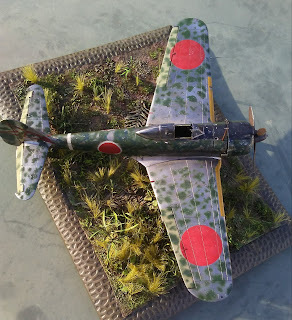 It is difficult to discern but I was trying to achieve the eggplant color of the anti glare paint found on many IJA aircraft which has a subtle purple hue. The yellow on the propeller and IFF strips is Colourcoats ACJ19 ID Yellow. "The camouflage mottles were airbrushed free hand using Colourcoats ACJ05 # 21 Midori Iro. 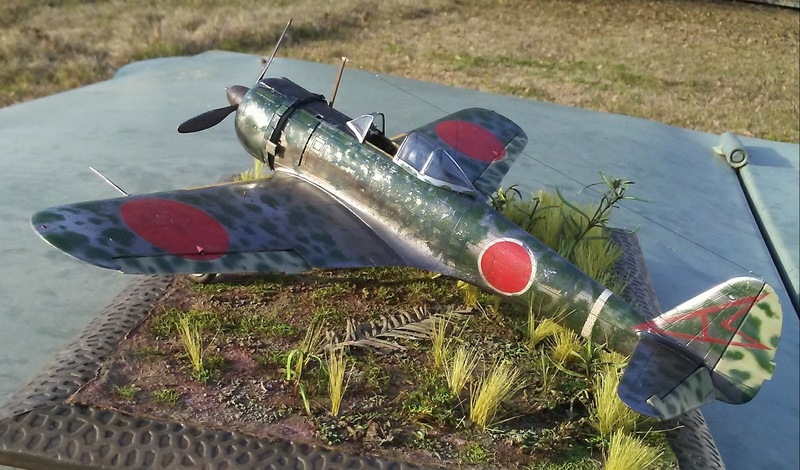 The "crazy paving" pattern was painted over this with a fine brush using a custom mix of Colourcoats ACJ03 Nakajima Navy Green with Testors enamel Flat Sea Blue 1172 to represent # 27 Ao Midori Iro. 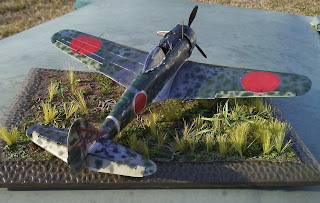 I used a photograph found on the Aviation of Japan blog as well as the profile of this aircraft from Rising Decals as a reference. 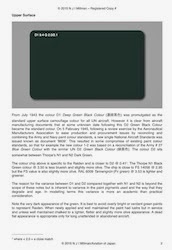 Rising shows the secondary color as a brown but also suggest it could have been dark green. It could even have been black or IJN dark green from left over stocks at the airfield when the Army took over air operations from the Navy in 1943. 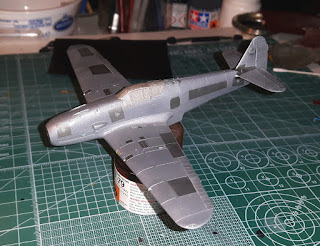 I only painted the fuselage with the secondary color as I had no view of the upper surfaces of this airframe to determine if the wings were treated in the same manner. 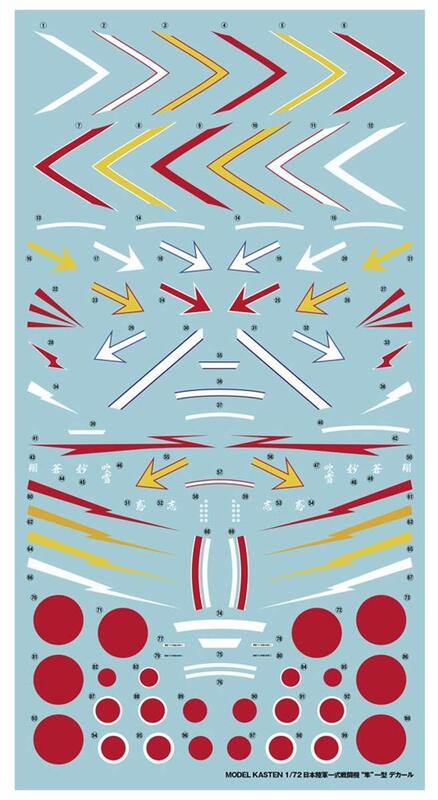 This was very much a puzzle that may never be solved but I gave it my best shot! 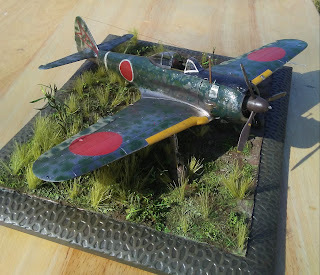 "I tried to keep the weathering subtle. I wanted the aircraft to look like it was used in a harsh jungle climate but wanted to avoid the post war junk heap look. 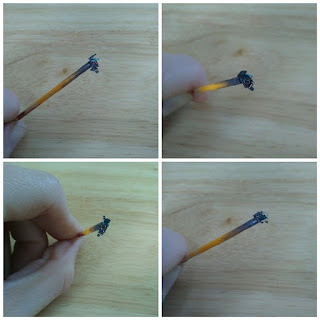 The whole model received washes of a mix of black/burnt umber oil paints. Paint chipping is a combination of the hair spray chipping technique and a fine sponge with Model Master enamel Chrome Silver. Exhaust stains were made with tan and grey oil paints with just a hint of black pastel chalk at the top of the stains to match reference pictures. The canopy is a replacement vacform from Rob Taurus. "I made a simple base from a cheap $1 picture frame. 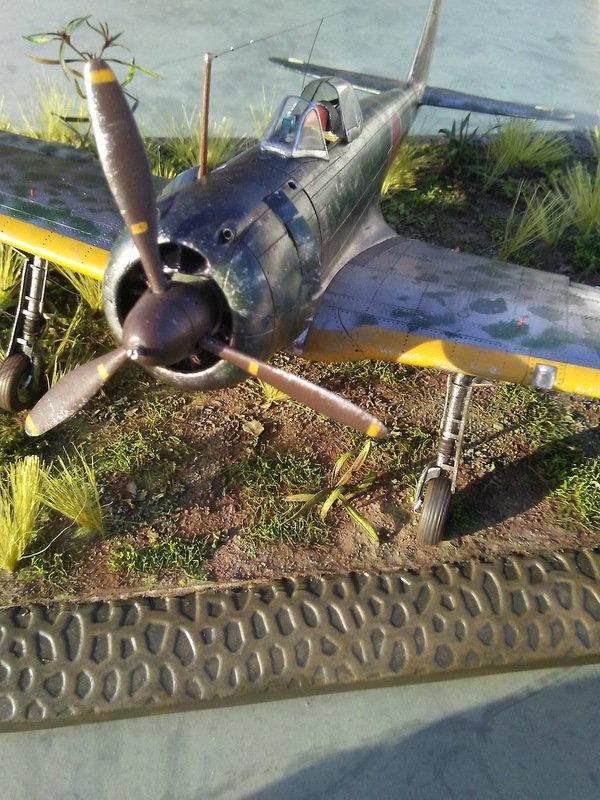 The ground cover was made from Celluclay, Woodland Scenics static grass and plants from my yard preserved in a water/glycerin mixture." And is well worth following to appeciate all the work involved in creating this superb replica. With special thanks to Chad for sharing these images and details with Aviation of Japan. 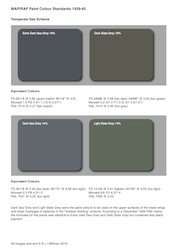 Only the main features of each sub-type are remarked on above but not all the additional detail changes. There are four distinctively identifiable versions of Ki-43-II prior to II Kai with one researcher recording designations of Ki-43-IIa early and late, Ki-43-IIb early and late. This divides the mid-production type into IIa late and IIb early. The official Koku Hombu table of aircraft designations and armament makes no such distinctions, just referring to Type I Fighter Model II and listing differences simply as production changes, but unfortunately does not date them all precisely or provide the serial numbers for first change. Ed).